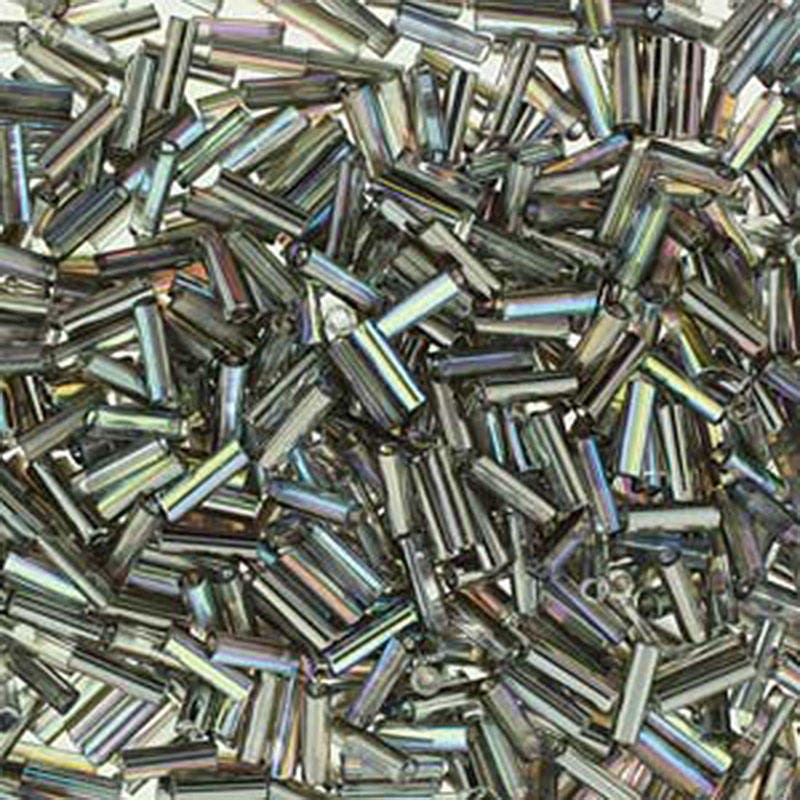 Crystal Rainbow Graphite Czech glass bugle beads, size 3 Czech glass - glass base is clear with a graphite rainbow finish. These measure 2mm x 7mm. 2-1/2 inch tube of 8 grams; approx. 670 beads per tube - Count may vary depending upon finish. I'm so glad I got these in addition to the full chrome bugles. I could easily see putting them together, and yet they're so different. These are lighter and more playful than the chrome. Such a fabulous selection of bugle beads here, and all supplies for bead embroidery -- thank you! Beautiful quality; fast shipping; will order again!!! !